Leading Manufacturer of tube straightening machine, pickling plant equipment, cooling tower, tube draw bench, deburring machine and wet scrubber from Ahmedabad. Innovation is our forte and we strive to design and develop a precision engineered range of Tube Straightening Machine. These machines are supplied using sophisticated technology to comply it with the international quality standards. 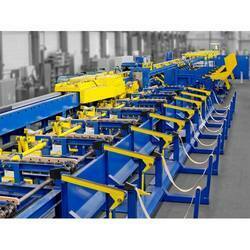 Also, the offered range is utilized in a number of industrial sectors like iron, steel, aluminum and allied. 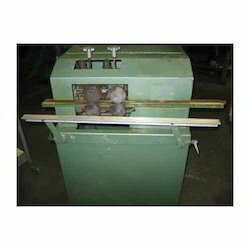 The offered machines are ideal for straightening the metal sheets and other related purposes. Among our wide range of products, we are introducing a premium quality assortment of Pickling Plant Equipments. 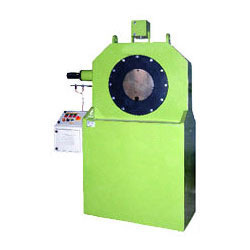 These plant equipments are tested on several quality parameters so as to deliver a flawless range. As well, these plant equipments are acknowledged among customers for their less maintenance. The offered plant equipments are developed from finest quality components & leading techniques in sync with the industrial norms. 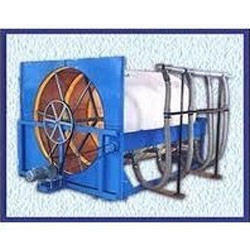 Our plant equipments are available at nominal price in a given time frame. 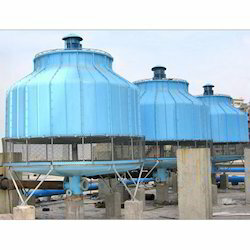 We are an eminent manufacturer, trader and supplier of high quality Cooling Tower. Well known for its efficient performance, durability, our given cooling tower is perfectly tested on assorted parameters to ensure its flawlessness. This cooling tower is developed from best in class components under the observation of skilled professionals keeping in mind quality norms. 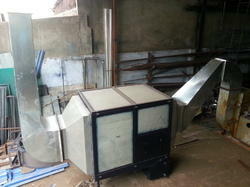 Customers can avail this cooling tower at industry leading price in a stipulated time frame. With the help of our experienced professionals, we have been able to offer our respected clients a wide assortment of Tube Draw Bench. This tube draw bench range is developed from the finest quality components in line with the market norms under the direction of our experts. 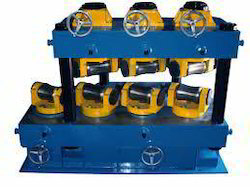 The offered tube draw bench is provided in diverse specifications as per the requirements of customers. Offered tube draw bench is inspected in terms of quality before delivering in the market. The entire range of products is thoroughly checked to ensure the quality at par with international standards. We are offering a wide range of Wet Scrubber, which is designed to control and curb the toxic fumes from the various processes. These wet scrubbers are fabricated using premium grade raw material and are strictly in conformation with the international quality standards. We have emerged in offering our valuable customers a wide array of Tube Pointing MC. This range of tube pointing machines is known for its excellent performance, durability and sturdiness. Also this range is developed using superior grade raw material, which is sourced from authentic vendors. The offered range is suitably utilized in non-ferrous & ferrous tubes and pipes with the aim of providing pointed tube ends as per the requirement of heavy reduction size. 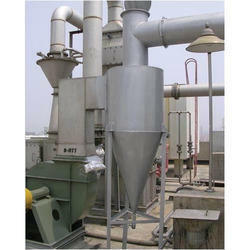 Our rotary air filter is designed to provide large filtration area. It is equipped with rotating drum made of steel grid mesh with suitable mounting frames, driven by a geared motor at low rpm.